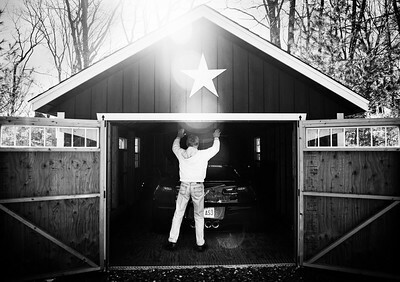 Standing at a mere 5’7” and 155 lbs., 75-year old Norm Devio of Hopkinton, Mass. doesn’t look like the godfather of arm wrestling that he is, dominating the little known sport for much of the last 40 years. 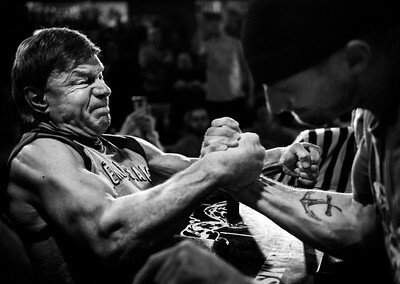 Devio has won more than 25 national arm wrestling titles in the 150 lbs. class, and has been victorious with both his right and left arm, in the sit down and stand up competitions. He has also represented the US globally in the 1996 world championship in Virginia, where he placed 2nd. There have been plenty of great arm wrestlers over the years, but what makes Devio a sensation is his longevity in the sport. 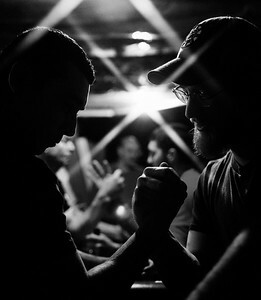 No other arm wrestlers have been as competitive as Norm for so long. To this day he can enter a tournament anywhere and still be a top competitor capable of beating opponents twice his size and 50 years his junior. 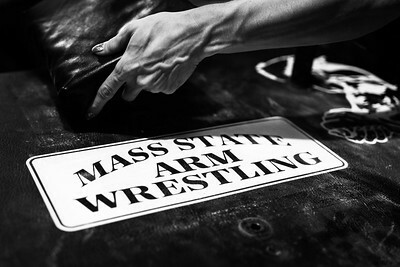 Devio entered his first professional arm wrestling tournament on a whim in 1975, the New England Championships in Nashua, N.H. 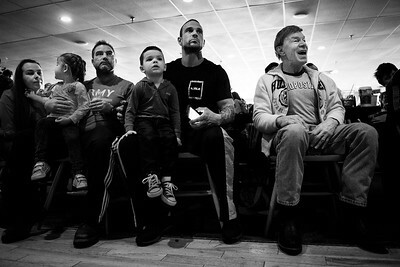 The former gymnast won the entire competition, beating out other arm wrestlers, or ‘pullers,’ as they’re called, who have been in the sport for years. 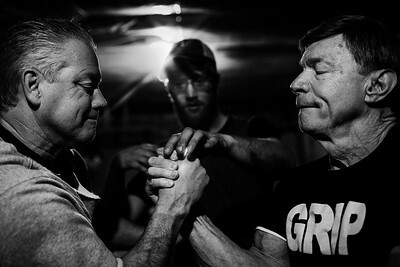 In 1982 Devio and a few of his teammates taught Sylvester Stallone a few arm wrestling techniques for the movie ‘Over the Top,’ which filmed during a real arm wrestling tournament in Las Vegas. Devio recalls that Stallone was not quite the champion he portrayed in the film, and that he beat the Rocky star in a practice match. In order to maintain his competitive edge Devio follows a strict workout routine that includes daily aerobic exercise combined with weekly weight lifting. At 75 years of age Devio curls a 110 lbs. 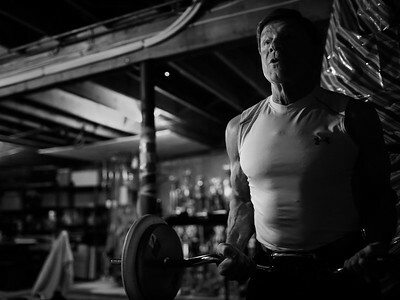 barbell at three sets of ten, a feat most men his size, let alone age, would struggle with. Despite his success, the physical nature of the sport has taken it’s toll on the former Brookline high gym teacher. Nowadays Devio only competes with his right arm as he was forced to give up pulling with his left after injuring his elbow. 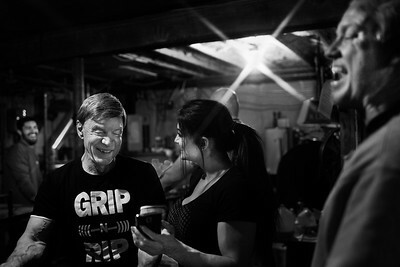 The aging arm wrestler has lost track of exactly how many tournaments he has won; however he knows for certain that there are over 500 trophies proudly displayed in his basement. His collection has grown to such an extent that he has started giving them away to friends and family who come to visit. 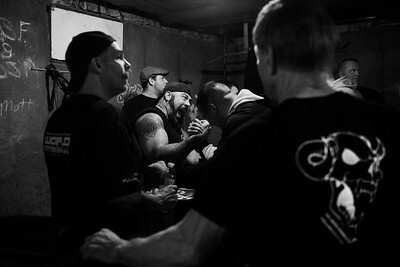 Devio is an inspiration to the global arm wrestling community. According to six-time national arm wrestling champion Michael Shalhoub there are few athletes in any sport who have ever accomplished what Devio has with arm wrestling. 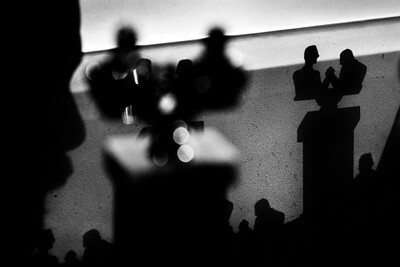 Published in The New York Times. 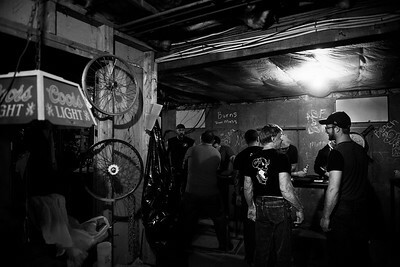 Devio watches other arm wrestler practice at Fitzsimmons basement.